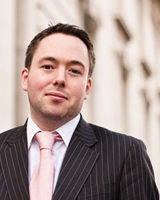 Dr Ronan Lyons is Assistant Professor of Economics at Trinity College Dublin. His areas of focus as an academic economist include long-run housing markets and sustainable and behavioural aspects of real estate markets. His doctoral thesis at Oxford was on the economics of Ireland’s property market bubble and crash, and Ronan worked previously as Economist to Ireland’s National Competitiveness Council and as Managing Consultant at IBM’s Global Centre for Economic Development. He is a frequent contributor to national and international media on the Irish economy and is author of the quarterly Daft.ie Reports on the housing market.